Paulie Malignaggi replies to heckler online who makes fun of him being out of shape and responding to his bait. 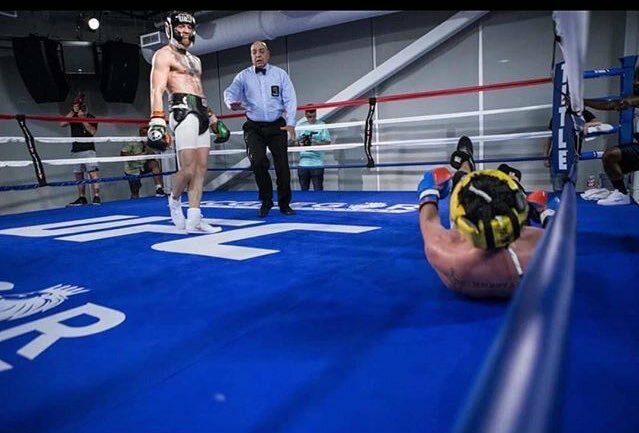 If, and it’s a big if, McGregor was to try his hand at pro boxing again over the coming years and have another fight, Paulie Malignaggi would certainly be up there in a list of opponents after their now well highlighted falling out before the Mayweather vs McGregor boxing match last year. At the time the American was not pleased with the Irishman releasing footage and pictures of their spar and left the training camp. I suppose you are right! Your training would be extremely expensive since you’re outta shape and would need a ton of training to fight @TheNotoriousMMA. You also proved the rest of us right that it’s about the $ and not pride. Those statements are called bait, you took the hook!